Riz au lait is another way of saying French rice pudding. It’s just made without egg but with plenty of milk and sugar and it’s so gosh darn easy and impossible to stop eating. Quite possibly the thing we love most about the French. 1. Place the rice in a fine-mesh sieve and rinse under running water until the water runs clear, about 1 minute. Then place in a medium saucepan, cover with water, and bring to a boil. Simmer for 5 minutes and then drain. 2. Wipe out the pan and return the rice to the pan along with 1 tablespoon sugar, salt, and the orange zest. Slice the vanilla bean down the center and scrape out the seeds, adding both the pod and the seeds to the pan, or add the vanilla extract at this time. Pour the milk over the rice, stir, and place over medium heat. Bring it just up to a boil and then immediately turn down the heat to as low as possible. 3. Cover the saucepan, leaving it slightly ajar, and let the pudding gently simmer, stirring often so the rice neither sticks to the bottom of the pan nor bubbles up and over 20 to 35 minutes, depending on the type of the rice you’re using. Be sure to keep an eye on it as you do not want the mixture to cook too long or dry. The pudding is done when the rice has absorbed almost all of the liquid and is very tender and almost melting in the mouth; riz au lait or French rice pudding should not be al dente. The pudding should be thick and very creamy and not at all dry. 4. Remove the saucepan from the heat and carefully remove and discard the vanilla bean. Add the butter and 3 tablespoons sugar and stir until the butter is melted and well blended into the rice, 30 to 60 seconds. Carefully but vigorously stir in the orange juice gradually until well blended, about 1 minute. Taste and, if you want the pudding a little sweeter, add the last tablespoon of sugar. 5. 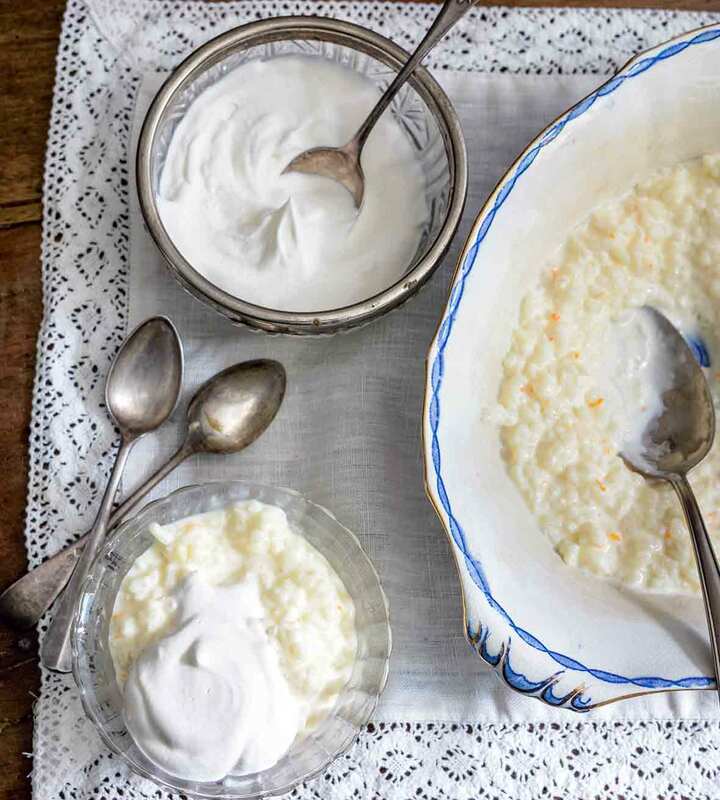 Spoon the riz au lait into 6 dessert bowls and serve warm or cold, keeping in mind the flavors will be somewhat muted if served cold. 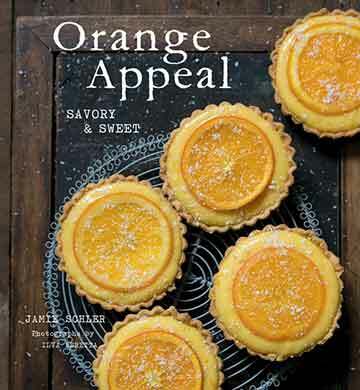 For an even more pronounced orange flavor, add a few drops orange essence or extract to the pudding along with the vanilla bean or extract or, for a warmer, more complex flavor, add a few drops orange blossom water. Riz au Lait Recipe © 2017 Jamie Schler . Photo © 2017 Ilva Beretta. All rights reserved. All recipes and photos used with permission of the publisher.